The auspicious month of Ramzan comes to an end and its celebration time to enjoy the festival of Eid. Like every year, fans of superstar Salman Khan gather outside his iconic Galaxy Apartments in Bandra on this auspicious day to catch a glimpse of their favourite actor. Khan like every year, this year too showed up at his balcony to greet his fans and well-wishers an Eid Mubarak. 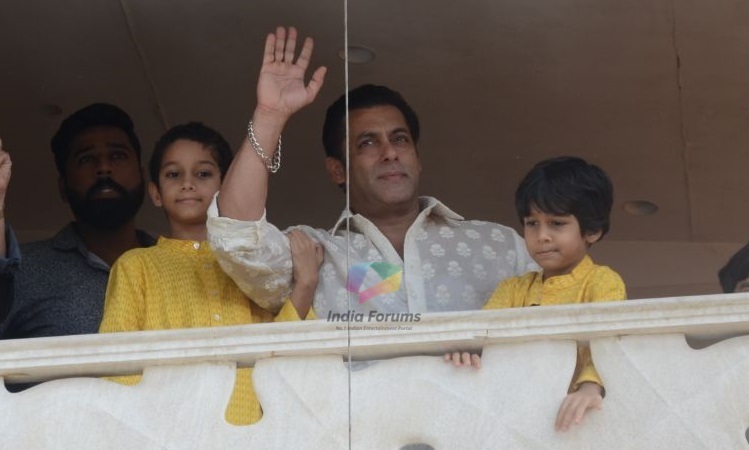 In the below videos and photos, Salman Khan can be seen wearing a white Kurta and waving to a mass of people gathered outside his Bandra residence. On the work front, Salman's EID released 'Race 3' is working exceptionally well at the box office. The film has garnered the highest opening of 2018.